It's out there, lurking in the dark recesses of the pier. Awaiting those who dare come its way. The sound of crashing waves and screeching gulls add to its eerie ambiance. Still, the fearless approach the dark ride known as Stillwalk Manor. And there are those who muster the courage to ride it. I'm one of them. Before I tell you about my experience inside Stillwalk Manor, here's what you need to know. 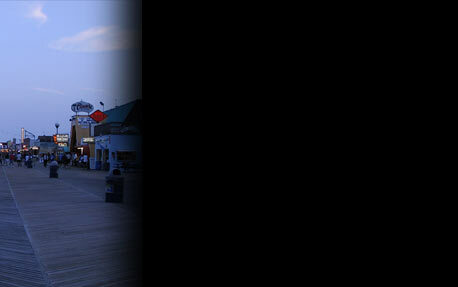 Located in the heart of Seaside Height's lively boardwalk lies Casino Pier, featuring an exciting assortment of rides and attractions fitting to its coastal surroundings. Undaunted by a disastrous fire that ruined the upper deck in the early 60's, Casino Pier roared back and rebuilt, creating a new selection of tempting fascinations. Over the many decades of its existence, the park played host and entertainer to millions. From the large water park, located inland of the boardwalk, to the historic carousel and game center, and from across the boardwalk to the main pier, there's plenty to see and do. 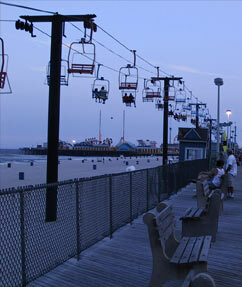 The lower deck, nearest the boardwalk, offers games, children's rides and the more traditional attractions, such as bumper cars and a Ferris Wheel. The upper deck is home to the more intense actions, compact steel coasters, faster rides, inverted rides and a log flume ride. In 1989, the pier assembled the Nightmare Manor dark ride from an assortment of new and salvaged elements. According to longtime Casino Pier concessionaire Ed Petrill, a Butler sheet metal building served as the main structure of the ride. identical Mystery Ride dark rides at both Lincoln Park and Mountain Park. In the late 1960s, Lincoln's dark ride was renamed Monster Ride and Mountain's rethemed as Dinosaur Den. The two rides were produced in house for the two parks by Ed Leis, Dom Spadola and Roger Fortin.